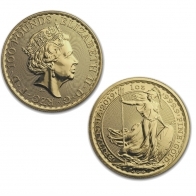 The British Sovereign gold coin is one of the oldest and most recognized precious metals coins. It has been used to facilitate and increase trade for hundreds of years. During the time of the British Empire gold Sovereigns were used to facilitate trade at ports in British colonies around the world. Trade grew so prosperous that in the 1800’s, British Sovereigns were also manufactured in several of the colonies, including Canada, Australia and India. Due to their gold content, the sovereign was able to be used for trade even in coutries recognizing other currencies.. The British Sovereign Gold Coin gives you the perfect opportunity to secure your investments. Continue reading to learn about the benefits that you will reap if you buy the sovereign gold coin. The British Royal Mint manufactures the British Sovereign Gold coin. The coins are made up of.2354 Oz of gold. The front side of the coin features the image of St. George slaying a dragon, while the backside is inscribed with the image of the King or Queen of England, depending on the year the coin was issued. The British Royal Mint issued the sovereign coin from 1817 to 1937, but production was stopped until 1980, when it resumed. The British Royal Mint is also the manufacturer of the half-sovereign coin, which is popular among investors in gold in the United Kingdom. The sovereign coin can also be purchased in the quarter sovereign and double sovereign sizes, but these are less common. 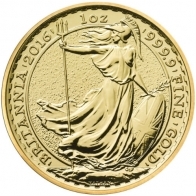 The Royal Mint is also the manufacturer of the British Britannia series, which is available in gold and silver. The company is also the producer of the Queen’s Beast coin series with the pioneering edition introduced in 2016. The Queen’s Beast coins are available in gold, silver and platinum. The British Sovereign is available at the SwissBullion.ch and it comes with VAT-free storage and delivery. British gold Sovereigns are a VAT-exempt investment that is also exempt from Capital Gains tax for all United Kindgom residents. The coin is one of the the most widely circulated and traded gold coins, and has been used to facilitate commerce for several hundred years. Gold sovereign coins contain 7.3 grams of gold. They are significantly smaller than 1 Ounce gold coins, and can benefit clients looking to buy gold bullion in smaller increments. 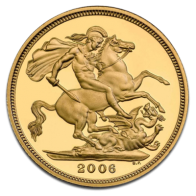 Gold sovereigns maintain their value, whether old or new, and in mint or used condition. The Sovereign’s popularity makes it easy to resell as it is recognized worldwide. Unlike fiat currency, gold doesn’t lose its intrinsic value. This means that you can sell your gold even during periods of economic crisis. The extreme popularity of gold around the world has made it the only “real” international currency. Gold coins are one of the most physically secure investments, as you can possess the coins physically. 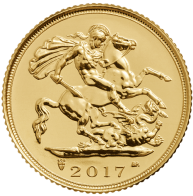 Gold sovereigns also offer protection against inflation and currency devaluation in the future that other investment options don’t offer. When you own physical gold, you are wholly responsible for your investments. This means that you can decide to buy or sell whenever you want. The reasons why you should invest in gold can’t be exhausted. Nevertheless, investing in gold coins, for example, the British Sovereign Coin offers the best protection for your investment. Gold coins protect from market volatility and the fluctuation in currency prices.